A semi-annual magazine for front line supervisors and their immediate operating staff. 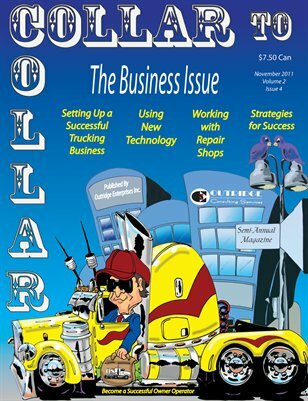 Collar To Collar features articles for operation staff to help them be more professional in their positions therefore helping them create a more profitable and successful career. The magazine specializes in the transportation industry and is focused on professional truck driver and the people who lead them.